J arrived in Paris yesterday, a Sunday, when most restaurants are closed. She wanted something fairly simple, so we went to one of our fallback places, Mollard, which is a ten-minute walk from our apartment. 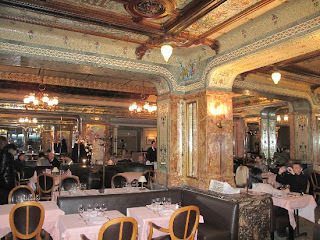 This brasserie is one of the most beautiful in Paris, with beautifully restored mosaics throughout and pictures executed in ceramic tile. 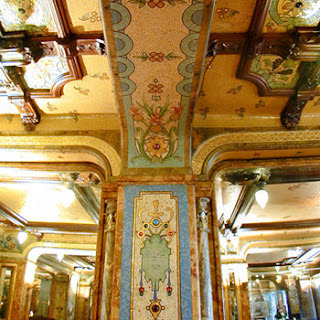 It opened in 1895 and dazzled the Parisians with its early Art Nouveau style. We have generally found the food to be no more than fair, but last night it was really quite good. I had the 33-euro menu, which has a lot of choices. I had six oysters, dos de colin (there apparently is no English name for this excellent fish) and a raspberry tart. The oysters and fish course were fine, the tart too cold so a bit glutinous. J went à la carte, choosing the asparagus of the day (cold white and green asparagus with smoked salmon) and grilled bar (sea bass) with sautéed potatoes; both were good. 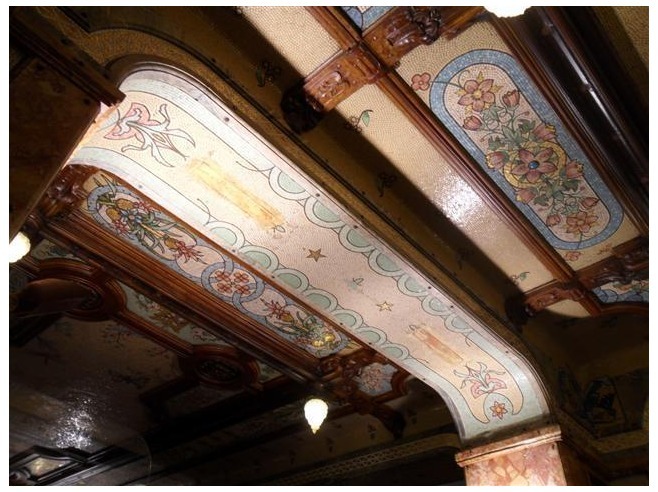 Service is old-style, competent and friendly; they are used to tourists here. In sum, Mollard is worth a visit, particularly on a Sunday night. The food is classic French, quite good but not great, and it is a treat to spend some time in the gorgeous surroundings. The 33-euro menu is an excellent deal, while other prices are a bit high for the quality of the cuisine. Mollard, 115 rue Saint-Lazare, Paris 8ème.